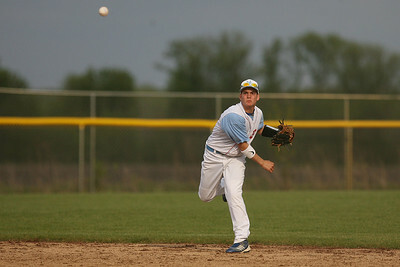 Mike Greene - mgreene@shawmedia.com Marian Central's Edgar Boss throws towards first during a game against Prairie Ridge Wednesday, April 18, 2012 in Woodstock. Marian Central won the gam 7-6. 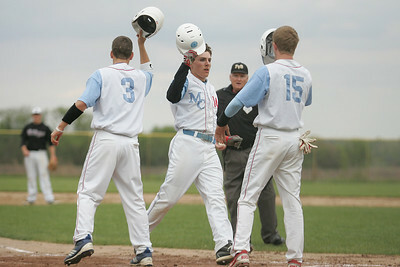 Mike Greene - mgreene@shawmedia.com Marian Central's Lincoln Herendeen celebrates with teammates after hitting a three-run home run during a game against Prairie Ridge Wednesday, April 18, 2012 in Woodstock. Marian Central won the gam 7-6. 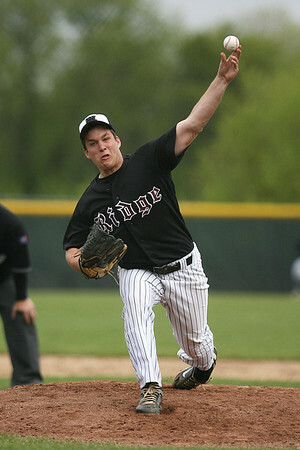 Mike Greene - mgreene@shawmedia.com Prairie Ridge's George Frost pitches during a game against Marian Central Wednesday, April 18, 2012 in Woodstock. Marian Central won the gam 7-6. Mike Greene - mgreene@shawmedia.com Prairie Ridge's Jordan Getzelman lays down a bunt during a game against Marian Central Wednesday, April 18, 2012 in Woodstock. Marian Central won the gam 7-6. 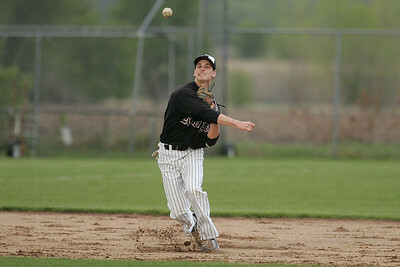 Mike Greene - mgreene@shawmedia.com Prairie Ridge's Kyle Hodorowicz loads while throwing to first base during a game against Marian Central Wednesday, April 18, 2012 in Woodstock. Marian Central won the game 7-6. 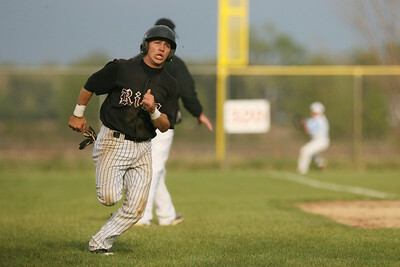 Mike Greene - mgreene@shawmedia.com Prairie Ridge's Kyle Kwiatkowski (cq) runs home during a game Wednesday, April 18, 2012 in Woodstock. Marian Central won the gam 7-6. 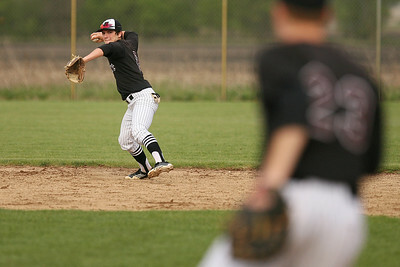 Mike Greene - mgreene@shawmedia.com Prairie Ridge's Connor Perry throws to first base during a game against Marian Central Wednesday, April 18, 2012 in Woodstock. Marian Central won the gam 7-6. Mike Greene - mgreene@shawmedia.com Marian Central's Scott Taylor rips a double during the third inning of a game against Prairie Ridge Wednesday, April 18, 2012 in Woodstock. Marian Central won the gam 7-6. Mike Greene - mgreene@shawmedia.com Marian Central's Joe Klinger (cq) slides into home plate after a passed ball as Prairie Ridge's Matt LeBeau (cq) waits to receive the ball during a game Wednesday, April 18, 2012 in Woodstock. 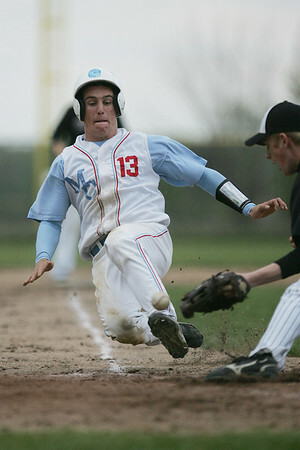 Klinger was safe on the play, and the run lifted Marian Central over Prairie Ridge 7-6. 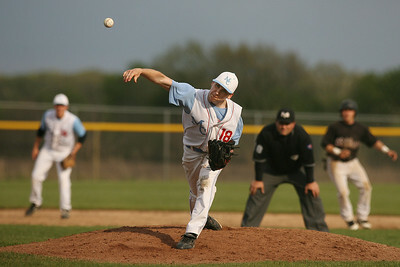 Mike Greene - mgreene@shawmedia.com Marian Central's Trent Faunce pitches during a game against Prairie Ridge Wednesday, April 18, 2012 in Woodstock. Marian Central won the gam 7-6. 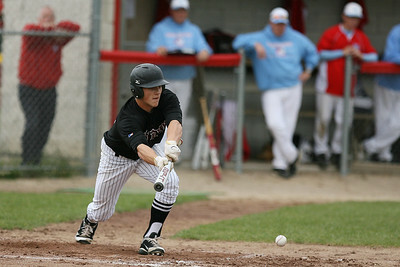 Prairie Ridge's Jordan Getzelman lays down a bunt during a game against Marian Central Wednesday, April 18, 2012 in Woodstock. Marian Central won the gam 7-6.